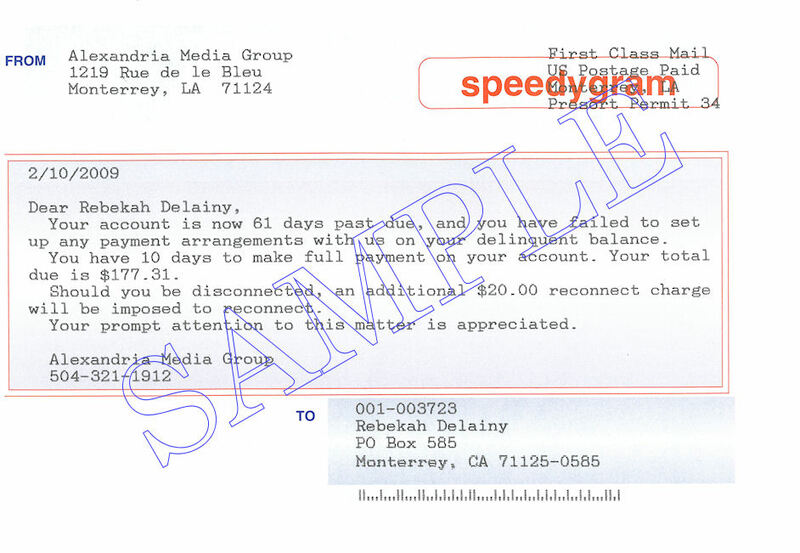 Handy four-part Speedygram forms require no envelopes. They can be used for marketing, late notices, or any short communication with a defined group of subscribers. Speedygrams are red in color to catch the subscriber’s attention. This form requires a dot-matrix printer. Generously sized, our 48.5″ x 11″ three-part work orders offer room for equipment detail, technician and subscriber signatures, directions to the subscriber home, and any pertinent notes. 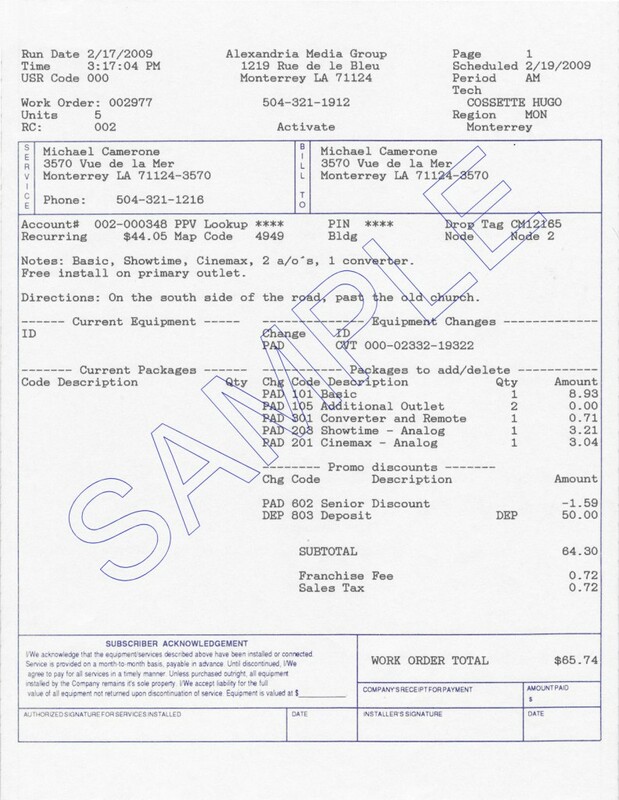 This form requires a dot-matrix printer and can be customized with your company’s information including logo, contact information, etc. *Customizing requires a one-time set-up charge of $45.00, per side. Prices are subject to change without notice. Generously sized, our 48.5″ x 11″ three-part work orders offer room for equipment detail, technician and subscriber signatures, directions to the subscriber home, and any pertinent notes. 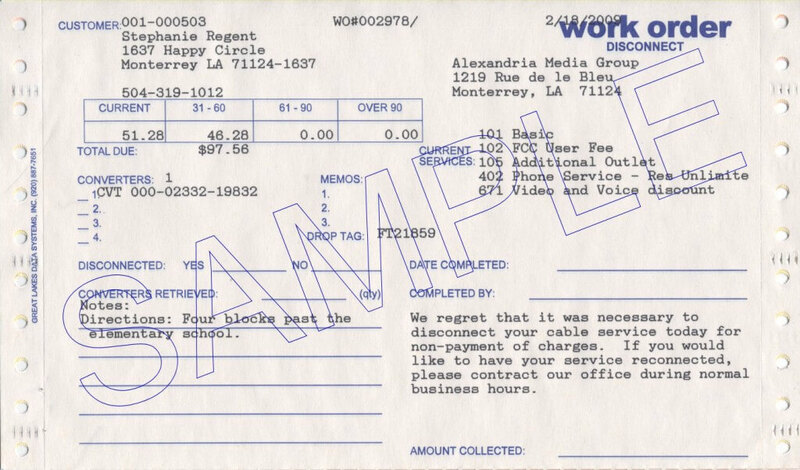 This form requires a dot-matrix printer.